Mumbai, 29th November, 2018: A new era of education arrives with the launch of the Navayuga World School in the Nellore region of Andhra Pradesh. The Navayuga World School (NWS) having a total capacity of 1800 students, is promoted by the Krishnapatnam Port Company Ltd. (KPCL). NWS boasts of a majestic building in a sprawling 8 acres lush green campus and well-ventilated latest technology enabled classrooms. The air-conditioned classrooms and school busses provide a comfortable infrastructure for imparting world class holistic education. The school’s environment and curriculum have been designed to cater to the comprehensive needs of the young inquisitive minds and the behavioral milestones of the various age groups of students. Navayuga World School has joined hands with India’s top most company specialized in Sports curriculum development and the students can choose to be trained by professional coaches in Sailing, Golf, Horse riding, Volleyball, Basketball, Cricket, Badminton, Football or Tennis as part of their school education. A structured obstacle course and play area are specially dedicated to the pre – primary and primary students to help master their developmental milestones. As part of its enriching and robust language course, NWS has also collaborated with an internationally acclaimed organization for implementing a structured reading program for its students where in children will be groomed into motivated, excited and passionate readers in a scientifically designed age graded format. The school will also partner with specialists to incorporate educational research sourced from Finland to enhance the teaching methodologies used in the Mathematics classes in the Primary years of schooling. 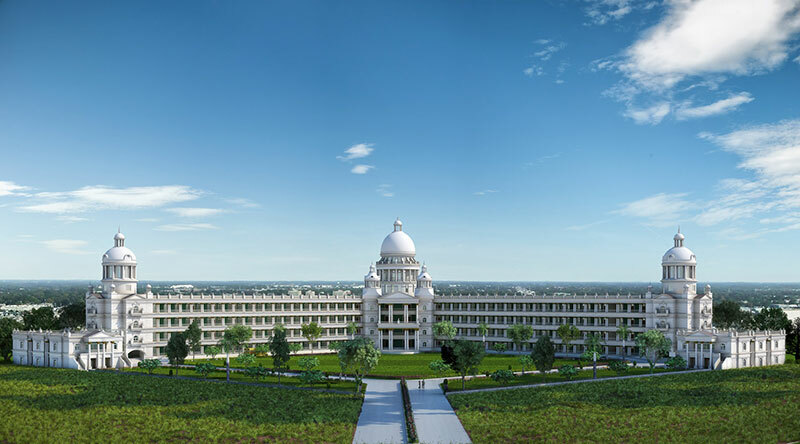 In the future, the school plans to include residential facilities for Indian and International students and additional sports infrastructure development. Navayuga World School will commence classes for grades Pre-nursery to 7 in April 2019. The school will offer an integrated curriculum aimed at empowering each student to maximize their potential and receive optimum support to challenge their areas of development. With facilities like a multi-purpose hall, dining area serving nutritious multi cuisine breakfast and lunch and opportunities for flourishing talents in art, design, dance or music the school will focus on a comprehensive approach to education and be a happy and safe environment for the student community. With a view to deliver the highest standards of internationally recognized curricula, Navayuga World School has aimed to affiliate itself with the Central Board of Secondary Education (CBSE). NWS will present an integrated curriculum and deliver the best practices from across the world of education in its classrooms. The school intends to nurture transformational leaders by providing an experiential learning pedagogy which will help them develop leadership competencies like innovation, critical thinking, persuasive communication and team building. The teachers will deliver well researched and dynamic content which is not just based on prescribed textbooks but also from a variety of application-based sources of learning. Krishnapatnam Port promoted by the Hyderabad-based C.V.R. Group is a privately built and owned all weather, deep water port on the east coast of India, located in the Nellore District of Andhra Pradesh. Krishnapatnam Port which is fast becoming a port of choice for all international cargo originating from and destined to Southern and Central India. It is the first and the only port to implement a single window system for business facilitation. The port with a transit storage area of 6800 acres has the country’s largest waterfront area of 161 sq. km, and a depth of 20.5 metres. Its current draft of 18.5 metres can accommodate full-sized cape vessel of 200,000-tonne capacity.